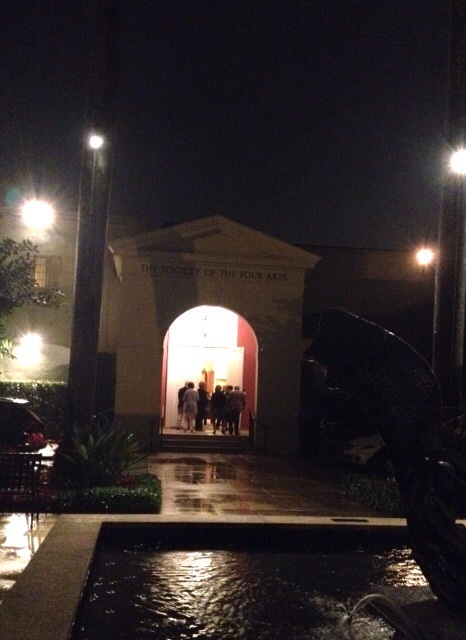 We drove from Orlando in a heavy downpour to perform at the intimate and elegant Gubelmann Auditorium, for the Society of Four Arts - a wonderful complex in West Palm Beach, where we hadn't been in a while. Alan's parents - who have always popped up here and there- are now Floridians and have joined us for a few days. Always great to have them along.